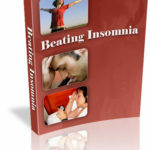 Discover How to Beat Insomnia Naturally & Enjoy a Great Night’s Sleep! There’s a new ebook available that reveals how you can naturally, and safely, overcome insomnia and get a great night’s sleep … night after night after night. How complex should something be that is an innate ability after all? The truth is it shouldn’t take much effort at all. When we’re newborns, we can eat, sleep and wet the bed – and these automatic functions continue throughout our lives. So in theory we should just be able to close our eyes, relax and head off to dreamland. But unfortunately it doesn’t work that way for many, many people. In fact, according to the very latest statistics, there are approximately 60 million people suffering from insomnia. 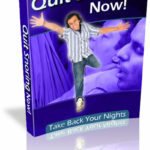 When you break that down, that means insomnia affects approximately 40 percent of all women and 30 percent of all men. But now you don’t have to put yourself through all of that discomfort anymore! Sleep apnea is a condition when you temporarily stop breathing while you’re sleeping or the breaths that you take are shallow. The temporary breathing can last from a few seconds and go on for a few minutes. These breathing interruptions can happen so many times an hour, even more than 30 times within that 60 minute time span. Afterwards, you would breathe normal again. It may be accompanied by loud snorting or choking. This condition can interrupt you from getting a good night’s sleep. It causes you not to get as much sleep as you need to. Sleep apnea causes you to be tired and sleepy during the day. This condition is not one of those that are easily diagnosed. Also it is usually not detected during a regular exam with your physician. Because it happens while you are sleeping, you probably would not know that you had it unless someone notice an unusual pattern in your sleeping. The way that you may find out about it is if someone notices it while you’re sleep. 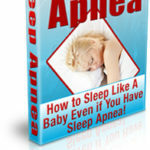 Even then, they probably won’t know that you may have sleep apnea. Millions of adults are suffering from sleep apnea and don’t know it. The majority of them are overweight or obese. Men suffer from this condition more than women. The older a person is, the more likely they can inherit this condition. With women, they can develop sleep apnea in the post-menopausal stage of their life. More minority groups, such as African-Americans, Hispanics and Pacific Islanders develop sleep apnea more than other ethnic groups. It can also be inherited from a family member. If you have small airways in your throat, mouth or nose, you are more likely to have this condition.